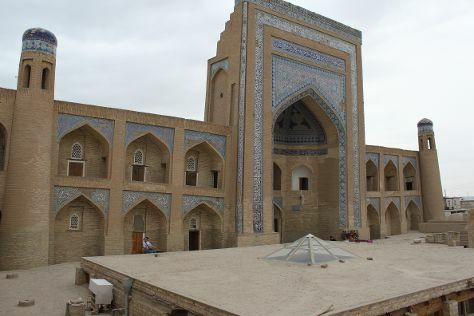 With an illustrious history as a main stop along the Great Silk Road, Khiva boasts remarkably well-preserved cultural attractions and a beautiful historic core. Change things up with a short trip to Urgench Youth Lake Complex in Urgench (about 46 minutes away). Next up on the itinerary: delve into the distant past at Itchan Kala, step into the grandiose world of Stone Palace (Tash Khauli), steep yourself in history at Citadel Kunya-ark, and admire the landmark architecture of Pakhlavan Makhmud Mausoleum. To see other places to visit, traveler tips, where to stay, and other tourist information, read our Khiva itinerary planner. If you are flying in from Australia, the closest major airport is Urgench Airport. Expect a daytime high around 35°C in May, and nighttime lows around 18°C. Cap off your sightseeing on the 4th (Sat) early enough to travel back home.